HomeElection 2016Why Were the Presidential Election Polls So Wrong? Why Were the Presidential Election Polls So Wrong? The Presidential election polls were wrong in 2016. Very wrong. Clinton led in most polls, resulting in a 3.3 lead on aggregate. Clinton also led most state polls, particularly in crucial swing states of Florida and North Carolina. She lost both. So why were the polls so wrong? It’s a safe assumption that the Bradley effect impacted the polls. The Bradley effect is named after Tom Bradley, a black politician who lost the 1982 California governor’s race, despite leading in the polls. The Bradley effect theorizes that voters will respond to opinion polls based on the phenomenon of social desirability bias — people simply do not want to be associated with a candidate who is publicly perceived as a racist or sexist. The Bradley effect may have impacted the 2016 election polls. Trump has been called a racist, a sexist, and is often likened to Adolf Hitler for some of his more extreme policies. It would not be surprising if those Trump supporters lied to public opinion pollsters, skewing the results. This election introduced an experimental methodology used by USC Dornslife/LA Times. This poll received a lot of criticism for their methodology, which involved tracking a select group of roughly 3000 people and watching how their votes changed over the course of this election cycle. Their tracking poll appears to be the most accurate of any pollster, giving more legitimacy to the tracking method. But Dornslife/LA Times was not the only tracking poll which consistently showed Trump ahead. The final IBD tracking poll showed Trump ahead, as they did many times over the election cycle. At times, the ABC/Washington Post tracking poll also showed Trump ahead. Aside from these pollsters, zero polls on RealClearPolitics showed Trump winning three weeks before the election and onward. 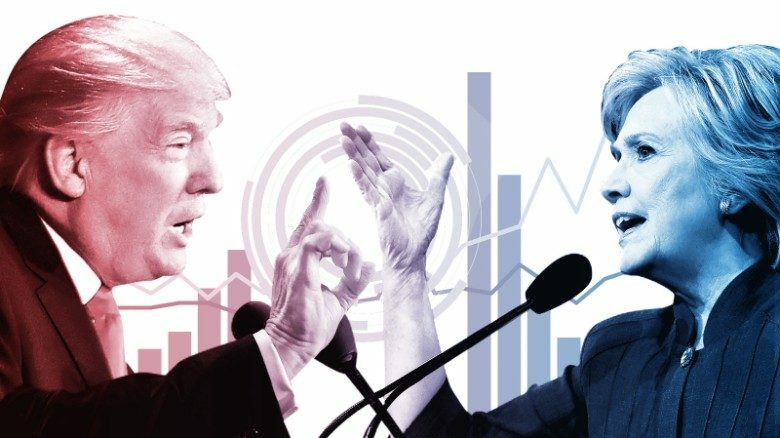 The 2016 Presidential election may revolutionize how polling is done in the scientific community. Exit polls gave the Clinton camp some ominous signs heading into Tuesday night. 13% of voters made up their minds within the last week before the election. The argument can be made that Comey’s October surprise — “reopening” the Clinton email investigation — discouraged undecided voters from voting Clinton. However, shortly after Comey’s letter was made public, they FBI announced that they found no new information and would not pursue an indictment (again). Voters may have also been discouraged by a steady stream of leaked documents made public by Wikileaks. The leaks centered around emails of Clinton campaign representative John Podesta and from the DNC. The leaks exposed collusion between CNN correspondent Donna Brazile and the Hillary Clinton campaign, resulting in Brazile’s termination from CNN. The leaks also had many Democrats crying foul play, stating Russia was behind the leaks in an attempt to deliberately influence the election. Finally, millennial voters really let Clinton down on election day. Exit polls showed Clinton only winning roughly 50% of millennials, while Trump won roughly a third. It’s possible that the polls overestimated millennial turnout, as long lines could have discouraged them from voting. Ultimately, Hillary Clinton could not win over one of the main Sanders demographics. There are a lot of reasons why the election polls were wrong. At this point, it does not really matter. At the end of the day, election polls are entirely worthless and all that truly matters is the final result.